Image | This entry was posted in Uncategorized and tagged Dialogues, God, Life of Pi, Movie, Religion, Tiger. Bookmark the permalink. 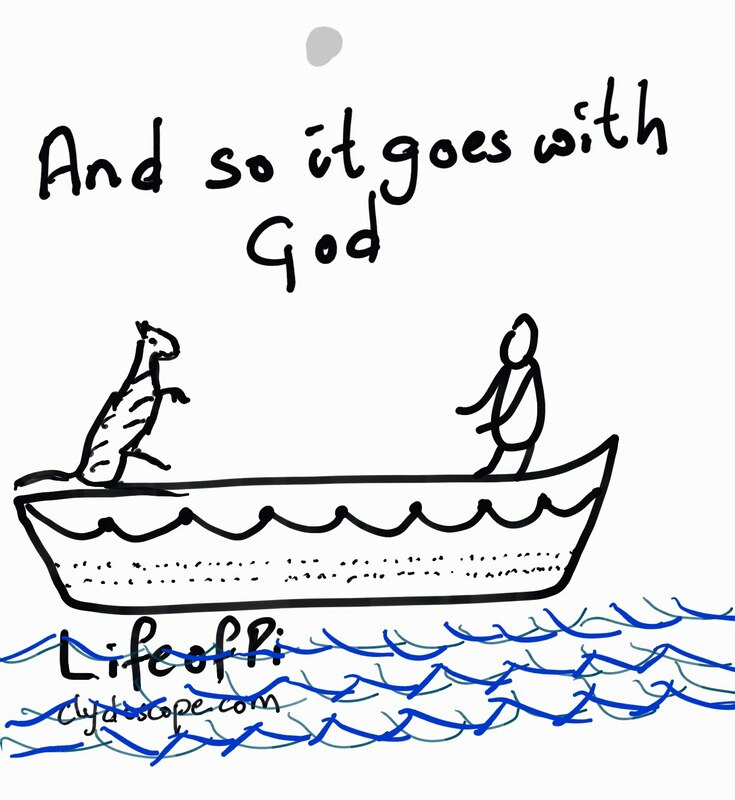 Not sure what God has to do with the man on a boat idea.. I saw Life of Pi and thought they could have made a better movie if the focus was on the cats point of view.